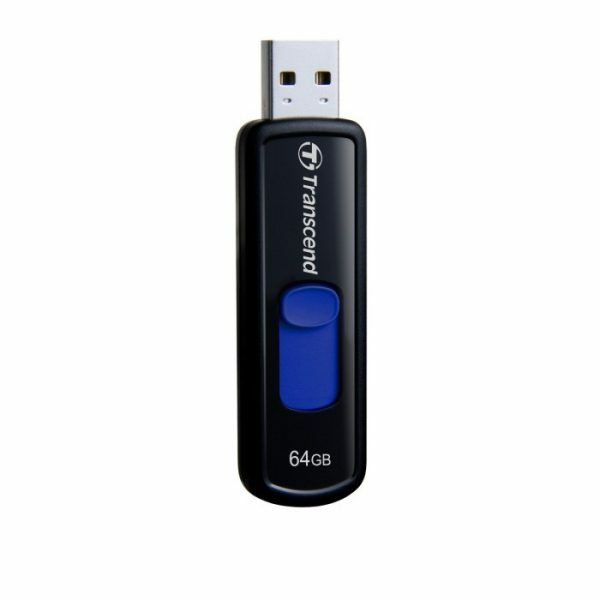 Flash Drives, like the Transcend 64GB JetFlash 500 Retractable USB Flash Drive, have become a familiar part of computer use. Regardless if you call them jump drives, thumb drives, or pen drives, they have become a dependable tool for transporting and storing information. Flash Drives, such as the Transcend 64GB JetFlash, have replaced the floppy disks which in itself was very unreliable and caused a lot of chaos with users. USB flash drives have made them obsolete. USB flash drives are NAND-type flash memory data storage devices that connect to a computer through a USB interface. Flash drives are small, light, they plug and unplug from the computer easily and one fact that shouldn’t be disregarded is they can be written and rewritten thousands, if not millions, of times. The 64GB JetFlash Retractable USB Flash Drive holds up to the high of standards set forth by Transcend. Fast, reliable, easy to use and most importantly the Transcend USB Flash Drive has a plenty of storage space to fit all your needs.